Welcome to today’s workout! I hope you are ready for a great Total Body Exercise Program. This workout is Low Impact. That means no Plyometrics/Jumping. 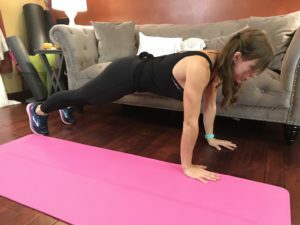 It’s a quiet/apartment or hotel room friendly workout routine. It’s also very effective. You can find the full length workout video, and photo tutorial for the workout below. I worked up a great sweat during this routine. If you are looking for a more intense variation of this workout you can do High Knees or Jump Rope during the Cardio Intervals. Remember, there is always a way to modify your workouts to fit your needs. One round of this workout will take 30-minutes. 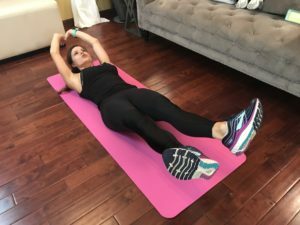 I went through it once, but if you are looking for a longer workout, you can repeat it, or pair it with another routine. This Week: Focus on Consistency this week. Make a commitment to get in a certain number of workouts. For me, that means a minimum of 5 workouts this week. When you set your goal, think about what is realistic for you, and what will help you achieve your fitness goals. Setting realistic goals are an important part of planning for success. Continue to support your workouts with healthy, nutritious meal choices. For me, that means eating lots of healthy vegetables. I also try to incorporate foods and spices that are anti-inflammatory. I notice that my entire body feels better when I incorporate Anti-Inflamatory foods. Check Out My Anti-Inflammatory Grocery List. Have fun with today’s workout. Challenge yourself to get in as many reps as you can during each interval. Remember, if you hit your max, take a quick break, and then keep on going. Before you know it, you will build up the strength and endurance to make it through the entire interval without stopping. Keep track of each fitness milestone. It helps mentally to track your fitness milestones and see progress with your workouts. I hope you enjoy this workout! Let me know what you think! I said ” Yay! Melissa is back! 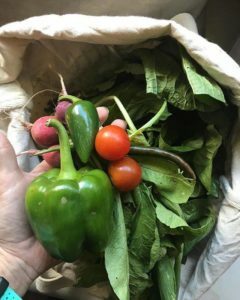 ” This was perfect for me-26 weeks pregnant. I appreciate the modification examples . I’m sweaty. The moves I like most are pendulum squats and the sumo push ups. This is one I’ll come back to for sure! Thank you! 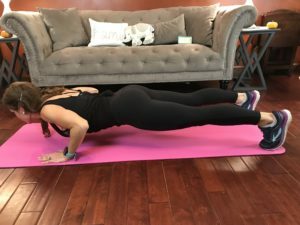 I’ve been working out with you, Melissa, for six years [+ or -] (including two pregnancies, I’m the 45 yr. old mother of seven) and want to let you know that I’ll continue to stick with your workouts. You are sweet, kind and gentle but an excellent “online” trainer. So many workouts to choose from is my only issue. It’s hard to decide. You do make it easier with the categories. This workout was absolutely perfect for my life and I’m the type to want to finish what I start. 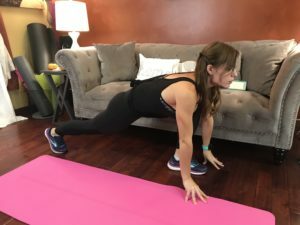 So, since this was a bit longer than your average workout, I did MORE! One question regarding the exercises which require bearing weight on the wrists: I find those more challenging because my wrists do not want to cooperate. Any tips would be grand. Keep up the fantastic body and soul work!!! 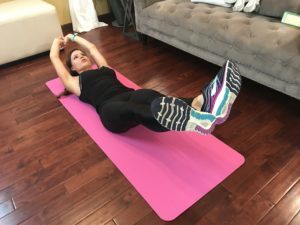 For any wrist exercises you can take some pressure off of the wrist by keeping the wrist neutral (holding dumbbells during planks or pushups, or keeping the forearms on the ground). 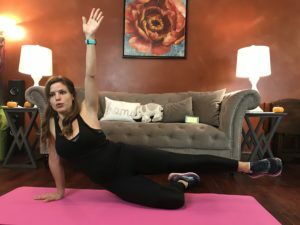 I actually posted a new workout video today, where I have a guest who demonstrates all wrist neutral exercises throughout the entire video. It might be a good one to check out for ideas. Thank you for working out with me, and for the beautiful words of encouragement! Love the length and variety! I love this workout! 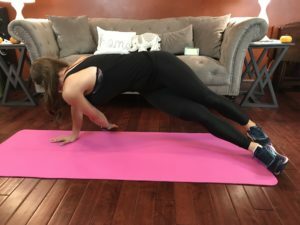 I’ve done many of your workouts, and this might be one of my favs! Thanks for doing this! 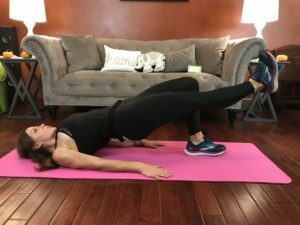 I’m a runner and I recently injured my hip and hamstring, so these are great for strengthening them. Hi Benders! What an awesome low-impact workout. I could definitely feel the burn with the tricep pushup and reverse plank. As for my cardio, I did a variation of marching where I brought my opposite knee to opposite elbow. This helped me engage my core more. By the way Melissa, your hair looks fabulous! Thanks for all you do. 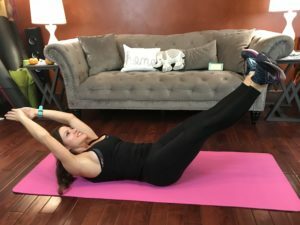 Is a new workout posted each day? Perfect workout to get back at it after a 4 day break (silly chest cold)! My fave is probably the hip taps & runner’s lunge pulse. I definitely felt the burn! Hip thrusters kill me every time! Thanks for a great workout! Hi Melissa, Thank you so much for the new workout. It’s a love hate relationship that I have with working out but you make me love it. Thanks Melissa! I’m back from injury so this LIIT workout was exactly what I needed. Im sweating too so it definitely challenged me.